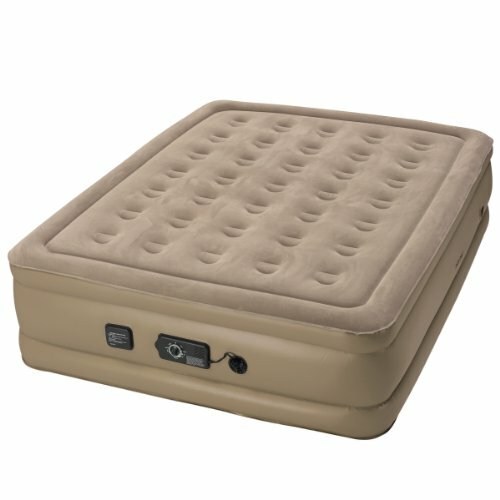 For this post, I have put together a collection of the best air mattresses currently available. 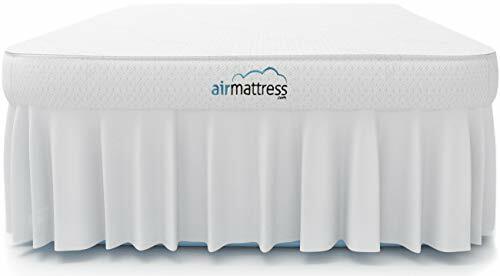 The following air mattresses use the latest innovative components to meet your needs and help to ensure you get a great night’s sleep. 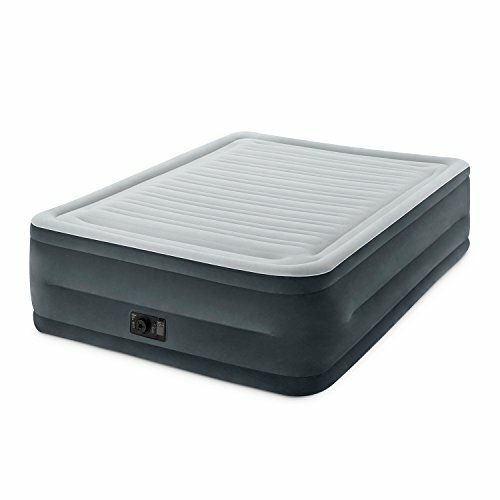 So here is my list of The 10 Best Air Mattresses. 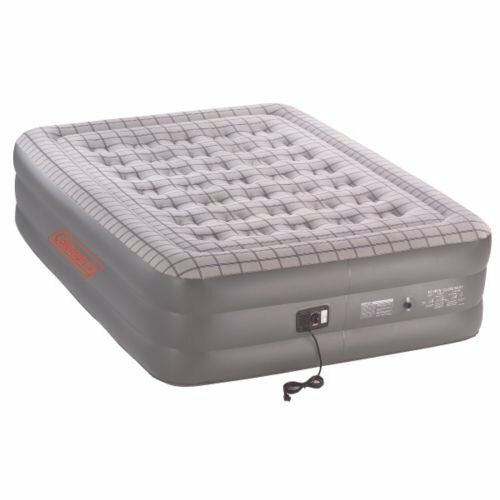 The SoundAsleep Dream Series air mattress provides overnight guests the comfort of a traditional mattress with the convenience of an air mattress. "Double-height" construction provides the feel of a traditional mattress. 15 gauge material and multi-layered flocked top create a more comfortable sleeping surface. One-click allows for quick and easy inflation and deflation. SureGrip technology prevents the bed from unwanted sliding. ComfortCoils reinforce the bed to maintain shape and firmness. Puncture resistant material is used for added durability. 4 minute deflation function removes all the air from the bed, allowing for quickly, easy and compact folding and storage. The Insta-Bed Raised Air Bed features Never Flat technology that detects if the air is getting low and uses a quiet secondary pump to reinflate the mattress. Once inflated, the secondary pump continuously monitors and senses when it needs to silently engage in order to maintain the chosen comfort level throughout the night. Integrated primary pump enables effortless inflation and deflation. Automatic shut-off feature turns the primary pump off once the bed is fully inflated or deflated. 35 circular coils on the Queen Bed create a comfortable sleeping surface. Horizontal reinforcements allow bed to maintain shape. 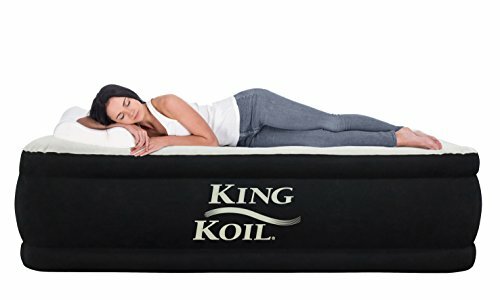 The King Koil QUEEN air mattress utilizies the latest in air mattress technologies with a built-in pump and a coil-beam construction. Offers firm comfort levels for spinal support and good sleeping posture for an excellent night's sleep. Includes 120V AC pump for easy inflation. Built-in pillow for maximum comfort. Reaches full inflation in under 3 minutes. Don’t forget the mattress cover. The Comfort Plush Elevated Airbed offers Fiber-Tech beam construction, which is comprised of thousands of high-strength polyester fibers that provide enhanced comfort, stability and support. Horizontal air chambers provide added stability and support around the entire bed. Equipped with 20.8-gauge waterproof flocked top. 16-gauge material sides and bottom for durability. Includes built-in, high-powered electric pump, which inflates the mattress in 3-1/2 minutes. Customize the comfort level with the touch of a button. 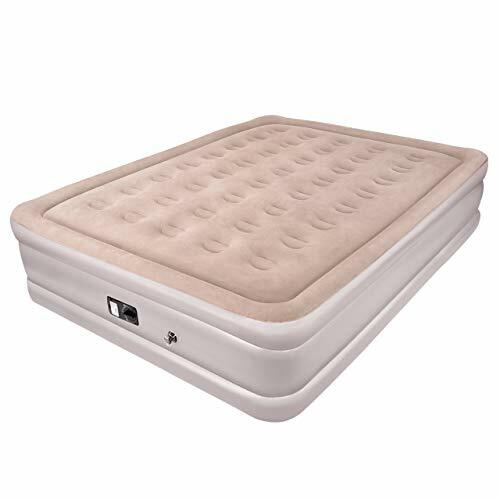 The Fox Air Beds Raised Air Mattress is made with a premium material that consists of a vinyl overlaid with protective nylon laminate. Material prevents stretching and dramatically reduces defects like split seams and punctures. Includes luxury topper and bed skirt. You can use the pump to deflate the mattress, removing air for compact storage. 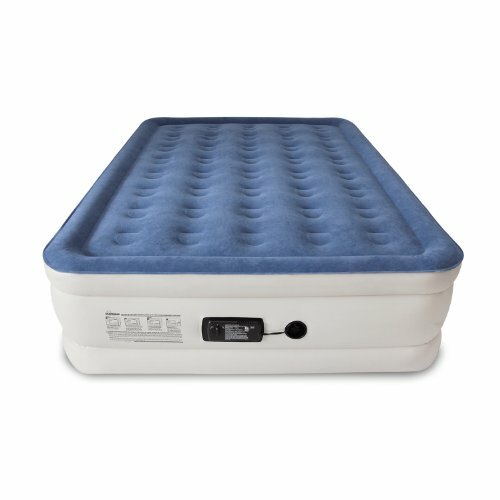 The Coleman Premium Double High Air Mattress features an antimicrobial treated sleep surface resists odor, mold, mildew and fungus from forming. Coils contour to your body to bolster support and reduce bulging for a more level sleeping surface. Leak-free valve's first sealing point stops air from escaping when you remove the pump. Second sealing point locks in the air as you sleep. The Serta Raised Air Bed allows you to easily select your desired comfort level. Secondary pump system eliminates sagging and loss of air pressure. Powerful, integrated primary pump enables effortless inflation and deflation of the air bed. Pressure sensing technology constantly monitors and adjusts to match the chosen mattress comfort level. Pump silently engages throughout the night as needed to create a consistently comfortable feel. Flocked top keeps bedding in place. 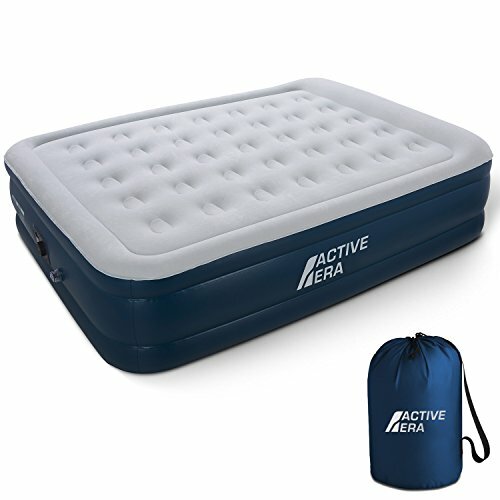 The Active Era Premium Air Mattress is built with a puncture-resistant material and integrated pump. Electric integrated pump inflates in less than three minutes. Fitted with 35 structured air-coils for maximum support and durability. Extra thick, hard wearing and waterproof flocked top layer. Multi-layer, 15 gauge puncture-resistant material. Built-in raised pillow provides head and neck support. 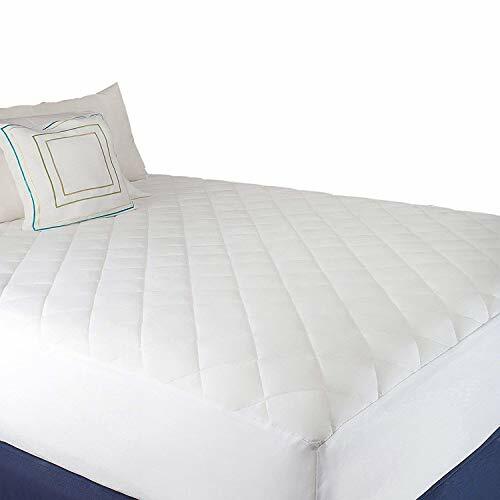 Strong interior PVC fiber supports your body while maintaining the shape and the firmness of the mattress. Built-in updated electric pump for hassle-free inflation and deflation. Can inflate mattress in 3-5 min. 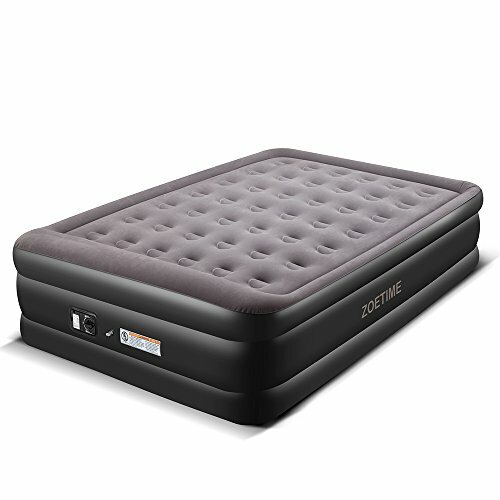 Zoetime Elevated Air Mattress uses suction holes to prevent unnecessary sliding of the bed during use and provides strong grip on hard, flat surfaces. Made with 42 stretch air coils. Pillow is integrated into the heightening pad. I hope this list of the best air mattresses was helpful.